Offered for rent this fantastic 4-stories villa situated in Mine Peza Street near the Taverna Tafaj.The villa is composed of 4 floors where each floor of a villa consists of 2 large bedrooms, a large salon with open plan kitchen and dining table,bathroom and a balcony. Offered for rent furnished rooms for offices with a surface of 1374sqm sufficiently for businesses large and accessible surface , situated in Kashar at kilometer 12, opposite of the City Park. This area is within a building, which shares only with the scale and elevator. Floor is divided into two large rooms each accompanied by a special division designed for office also has training room, meeting room, kitchen and separate toilet. 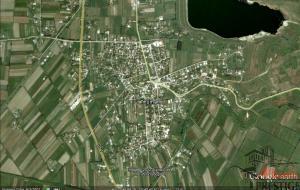 Offered for sale land with a surface of 28 700 sqm, which is situated in the Gramez village,Thumane Municipality.This property is the certificate of ownership and offered for clients as surface as you need.The selling price is 13 Euro/m2. 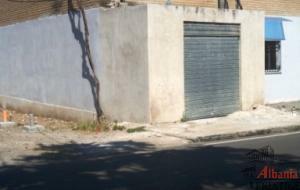 Offered for rent space with a surface of 75sqm near the former of beksave area, between Hospital Center of Mother Teresa and the chimney. This space can be used for any private activity, but since it is located very close to the hospital it would be ideal giving of this space as clinical or pharmacy. Offered for sale 2-floors object with a total surface of 540sqm, where the ground floor has an area of ​​110sqm and 430sqm belongs to the second floor, situated at the cross of Perlat Rexhepi Str. and Vaso Pasha Str, opposite the former Directorate of personalities. This object is equipped with central air conditioning, automatic generator of electricity, internal elevator, weak currents system, surveillance cameras, bridge control, fire protection, security exits, etc. 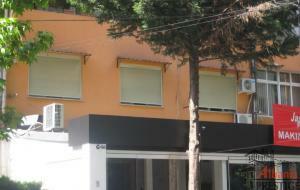 The works were made first under a British Council project for the organization in Albania. 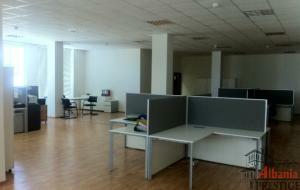 In a 4 floor building in one of the most strategic location in Tirana,Rd. 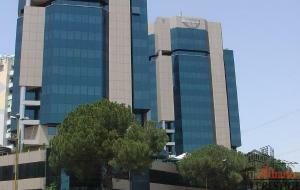 "Brigada e 8-te" are offered for rent 102 m2 office spaces. The place does have an exceptional access to strategic points like ministries, Banks, bars, restaurants, pharmacy, supermarkets ect. The property is totally renovated and it offers non stop water and electricity supply, landline telephone, energy efficiency (class A+) air conditioning for all rooms. Offered for sale Coffee-Bar with surface of 180sqm, complete with modern equipment and with contemporary style, currently in working condition ... Properties is located in "Ali Demi" Str. in front of former geological Plant. 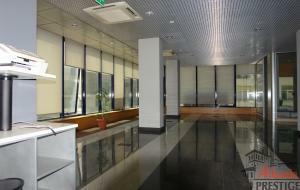 O ffered for rent shop with a surface of 27sqm, based on the first floor of the Twin Towers in "Deshmoret e Kombit" Boulevard. 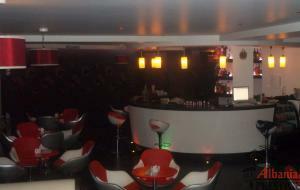 This property has been used until now by travel agencies and insurance company and is in a nice area which is the connection point for Banks, shops, bars, restaurants. This property is well served by public transport, the bus station and TAXI are just minutes walking by foot as well offer non stop electricity, internet and has also landline telephone. 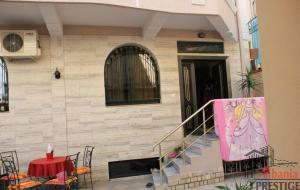 The rental price is 1200Euro/muaj.